Fiji is one of those island nations that are not only popular among the regular tourists but also serves as a perfect romantic getaway. The pristine natural beauty, white sandy beaches and luxurious resorts are the reasons behind its popularity. Fiji provides an awesome opportunity to cut off from your mundane routine and relax by the side of turquoise blue waters of the ocean. Most of the travelers that visit the country get completely hypnotized by its beauty and always return back. 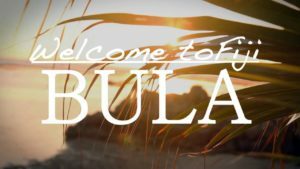 In this post, I am going to focus your attention on all those women travelers who visit the island nation and showcase the reasons that make them fall in love with it. Most of the women prefer to have a relaxed and stress free travel. As Fiji is connected with all the major destinations of the World, reaching the island nation won’t be a tough task. Even if a person is living at a destination from where the travel time is more breaking the journey and then taking up another flight will make the journey a relaxing one. From places like Los Angeles, you can directly reach Fiji by taking a direct flight with Fiji Airways. There is always an option to book a seat in the executive or the business class that will provide you will all the luxurious facilities while you are on board. And from New Zealand or Australia – it is a few short hours away – Air New Zealand has some great flight offers, flying direct from Auckland, Wellington, Christchurch and Queenstown. Most of the women love to be pampered and Fiji will offer an amazing opportunity to detox your life from all kind of stresses. In Fiji, you can treat yourself to a hydrating facial or a tropical massage. Mostly, all the resorts will offer you spas that will completely relax your body, mind and soul. You can even get an outdoor spa at some of the resorts that will be a whole different experience. Fiji will prove to be a paradise for all those women who love to care for themselves. Fiji has an awesome weather throughout what gives an amazing opportunity to get any form of skin or body treatments. In Fiji, shopping is a pleasant pastime and we all know how much women love to shop. For all those women who love to shop traditional arts and crafts stuff, each and every Fijian village or town will offer a wide range of products. Some of the best quality products can be found in the private shops as the best quality merchandise is selected from the producers in the outlying villages. As women love to decorate their homes with all sort of handicrafts they will get a lot of different products to choose from. The Cummings Street which is located in Suva is a great place where you can purchase anything and everything. You can even get large discounts on goods like electronics, clothes and handicrafts if you pick up a bargain or two. For all those women who love to learn new cuisines and dishes, the friendly local Fijian people will allow them to learn quite a few of them. This will enable them to have a mastery over some of the unique and delicious Fijian dishes. A few of the local dishes are only exclusive to Fiji. Some of these dishes include ‘Lovo’ whose ingredients include fish, shrimp, lobster, pig, freshwater mussels, chicken along with taro leaves and seaweed. By having a mastery over some of the Fijian dishes you can impress all your friends by preparing these dishes for them. This will enable them to enjoy the local taste of Fiji. Fiji is one of the most welcoming and safest places in the World. The Fijian culture has a high regard for family and children. 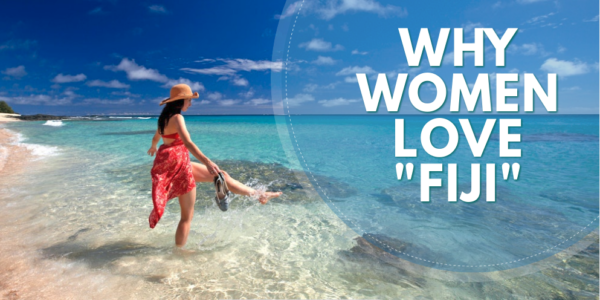 As most of the women love to mingle and make friends with other people, this is an another aspect why women love Fiji. There are quite a few adventurous activities like paddle boarding, banana boat rides, kayaking which will prove to be fun. Due to the warm nature of Fijian people, it is quite easy to make friends with them form a group and indulge in any of these activities. Fiji is an amazing destination and is perfect for all those women who are planning to travel to the island nation alone. The friendly Fijian people are always willing to help and will ensure that no sort of trouble is faced by the tourists who travel to the country for the first time. I hope that the article showcases all the valid points or reasons that make a women fall in love with Fiji. If you are a woman and have been to the country before do let me know your experiences and whether or not you agree with the points that I have mentioned above. Hi, I’m Chelsea Nguyen- I’ve been traveling around the world for the last 5 years. Adventure travel, photography and blogging are my passions. I can help to find the best Fiji Honeymoon packages and romantic getaways for couples. Let me inspire you to enjoy your Vacations in Fiji, with crazy stories, photography, and useful tips from my travel adventures. What area of Fiji would be a good place for a single older woman to retire, cheaply? I have no family left and I’d like to find a simple place to live out the rest of my life on very little money. Any ideas?